Create a rustic, Wood Pieced Barn Quilt for indoors or out. 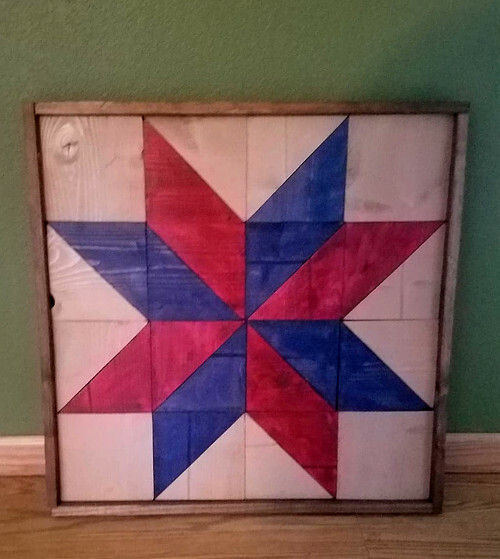 All materials will be provided to create a 2 foot by 2 foot barn quilt with individual wood pieces. Choose your colors to match your home or garden! Workshop will take about 3-4 hours to complete.